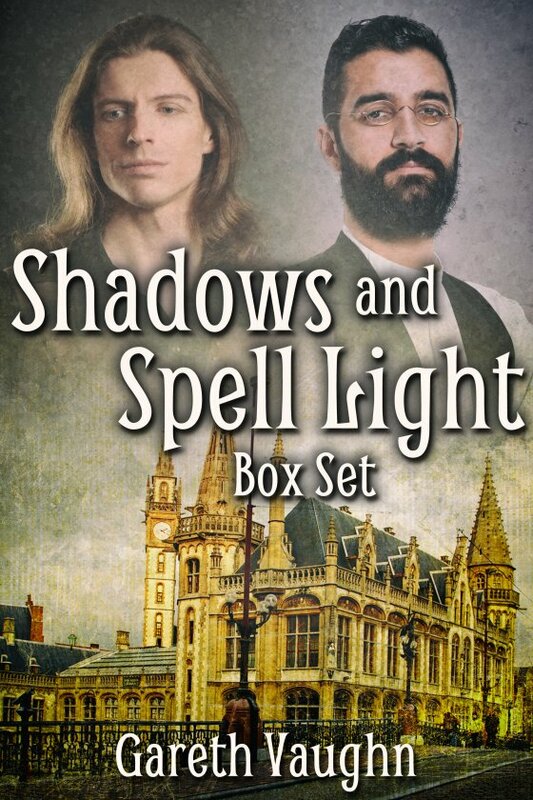 Shadows and Spell Light Box Set by Gareth Vaughn is now available! The Officer and the Thief: Benen Trelayne has worked hard to make Assistant Detective by age 27, but protecting the city of Jewylle on Ilben is no easy job. When Benen removes a mysterious puzzle box from a murder scene, he isn’t expecting to have to deal with anything more than cracking the case. But while attempting to stop a robbery, the curious box is activated, and Benen’s stuck trying to figure his way out of a puzzle spell with only a thief who calls himself Gus for help. Benen is sure Gus knows more about the murder than he’s saying, but can’t arrest him unless they can work together enough to escape. The Doctor and the Addict: Graden Fallswenne has been struggling to kick his sugardream magic crystal habit, thinking if he does, he might just have a chance again with his ex, Evander. But when he finds the man has already moved on, Graden returns distraught to old haunts and habits.